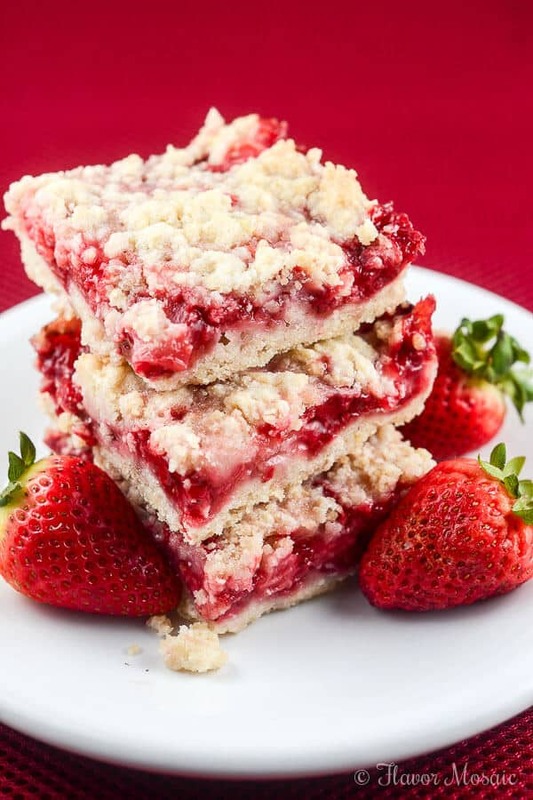 These easy Strawberry Crumb Bars, with a buttery crust, sweet fresh strawberry filling, and crunchy butter crumb topping make wonderful dessert bars for an afternoon snack, or to take to a summer party, picnic, or potluck. Why Make Strawberry Crumb Bars? It is Saturday, the day of my friend’s party, and she tells me to bring a dessert to the party. no worries! 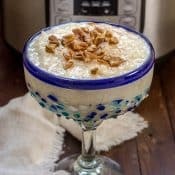 There are a number of delicious quick and easy desserts for me to choose from. However, these Strawberry Crumb Bars are easy to make, especially if you have fresh strawberries, on hand and are super delicious, and I never have leftovers. If you have followed my blog, you will notice that my desserts are usually simple. Often magic bars, fruit bars, or brownies. Nothing complicated. I saw no reason to change that trend. 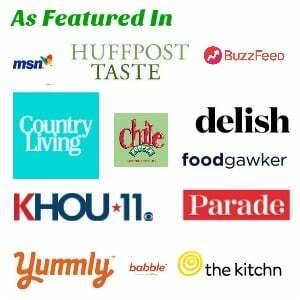 After all, my blog is all about fast, easy, and flavorful recipes. It is strawberry season!! If you are close to one, I highly recommend traveling to the local strawberry farm to pick strawberries. It is so much fun and the strawberries are so fresh and juicy. We have one just outside of town that we love to visit in the Spring. Of course, if you can’t make it to the strawberry farm, just swing by the grocery store where they usually have the fresh strawberries during strawberry season. 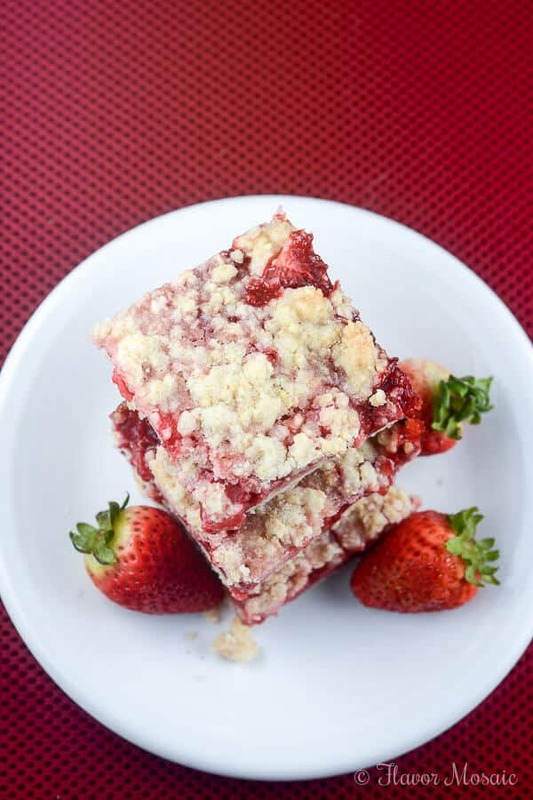 There is just something about the juicy, sweet strawberries in the spring and summer that makes me want to serve them in as many things as possible, especially desserts, like the Mini Strawberry Pretzel Desserts and Strawberry Cheesecake Salad, in addition to these Strawberry Crumb Bars. 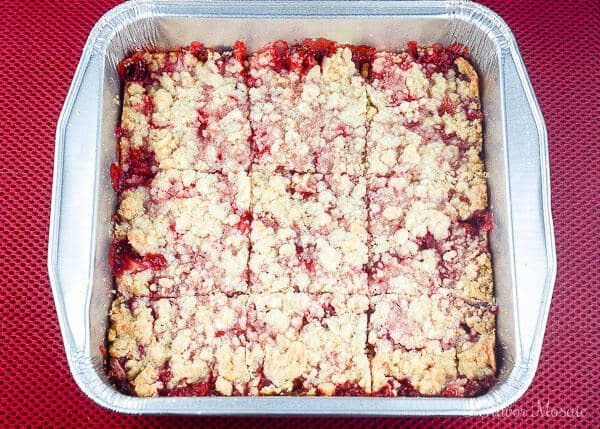 What Makes This Strawberry Crumb Bars Recipe Work? These Strawberry Crumb Bars have lots of flavor from sweet fresh strawberries and a buttery crumb crust and topping. 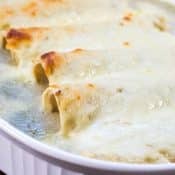 Why this recipe works? Fresh Strawberries. If you have fresh strawberries on hand, use them. The sweet strawberry filling really makes this dessert. Buttery crumb crust. When combined with the sweet strawberries, this buttery crumb crust makes the Strawberry bars extraordinary. Tried and true recipe. Don’t take my word about how good this recipe is. 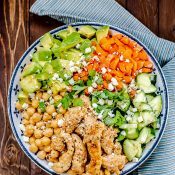 Read a couple of the 88 comments from some of the over 200,000 people who pinned this recipe on Pinterest. I adapted these Strawberry Crumb Bars from my Blueberry Crumb Bars recipe by using fresh strawberries instead of blueberries. Both taste amazing. I also used only white sugar for these Strawberry Crumb Bars instead of using a combination of white and brown sugar. The Strawberry Crumb Bars take a little longer than the Blueberry Crumb Bars because you have to chop the fresh strawberries. However, the end result is totally worth the effort. 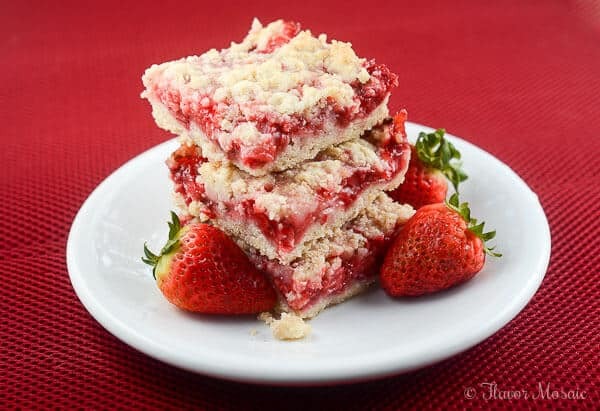 What Ingredients Do I Need To Make Strawberry Crumb Bars? What Type of Strawberries To Use For Strawberry Crumb Bars? 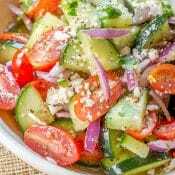 Fresh – The first and recommended option would be to use fresh strawberries. That is what I used when testing this recipe and they work really well. Frozen – Some readers have successfully used frozen strawberries, I recommend draining any excess liquid from them before using in the recipe. Preserves – A few readers have said they used Strawberry preserves for the filling and loved the bars. 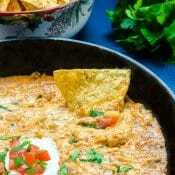 I think that would change the taste and texture some from the original recipe but would still be good. Make the Crumb Crust and Topping. In a medium bowl, stir together flour, sugar, baking powder, and salt. In a smaller bowl, beat an egg with a fork. Add the egg and vanilla to the medium bowl with the flour mixture and stir. In a separate bowl, stir together 1/3 cup sugar with the cornstarch. Spoon in the fresh strawberries. Stir until it is combined. Assemble the Strawberry Crumb Bars in the baking pan. Press half of the dough into the bottom of the pan. Spoon in the strawberry mixture evenly over the dough. Crumble the remaining dough over the strawberry mixture. It is ok to not cover all the strawberries. Bake the Strawberry Crumb Bars. Bake the Strawberry Crumb Bars in a preheated 375 degree F oven for 45 minutes or until the crumb topping is a light golden brown. Cool the Strawberry Crumb Bars. Let the Strawberry Crumb Bars cool for about 10 minutes and cut into bars. Fresh Strawberries. As stated above, for the best taste, sweetness, and texture, I recommend using fresh strawberries if they are available. Make sure your butter is very cold. This is extremely important to get the crumb crust to be the correct consistency. If the butter is warm, it starts melting too soon. Make Sure Baking Powder is fresh. Yes, baking powder can go bad after a period of time. Check the date and make sure the baking powder you are using is fresh. Don’t overwork the crumb topping. This also will make the butter melt too soon. Parchment Paper. Place parchment paper in the bottom of your baking dish and let the paper hang over the sides. This will make it easier to remove the strawberry crumb bars after they are baked. Use your food processor for perfect crumb consistency without the work. It just makes it a little easier. Be patient. Patiently wait for these to bake and cool. Double The Recipe. 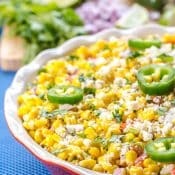 If you have a crowd to feed, you can easily double the recipe and bake in a 9×13 baking dish. Just change the number of servings in the recipe card below from 9 to 18 to double the amounts of the ingredients. 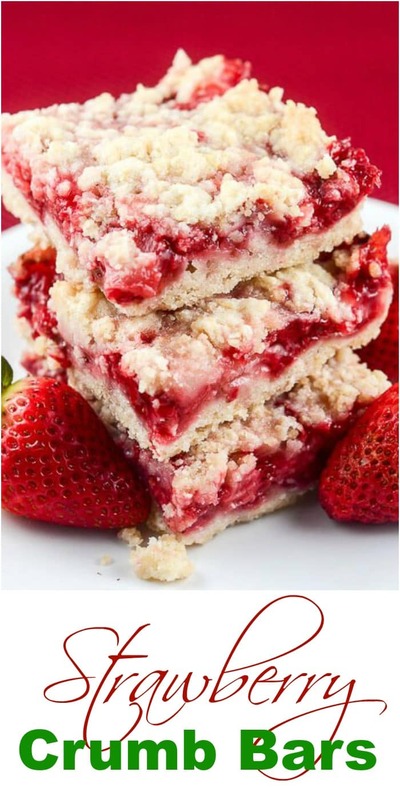 Before you make this recipe, be sure to check out our other similar recipes, and continue scrolling down for the Strawberry Crumb Bars printable recipe below. Strawberry Bread – This sweet, moist Strawberry Bread is a fantastic quick bread to make when you have fresh strawberries on hand. Strawberry Cheesecake Salad – This Strawberry Cheesecake Salad is like a strawberry cheesecake in a bowl and makes a delicious and easy no-bake dessert. Baked Glazed Strawberry Donuts – These Baked Glazed Strawberry Donuts, with their sweet, melt-in-your-mouth deliciousness, are baked and not fried, and are perfect for breakfast or dessert. Strawberry Pretzel Dessert Mini Parfaits – Strawberry Pretzel Dessert Mini Parfaits are a lightened up version of the traditional Strawberry Pretzel Dessert (or Salad) made with Greek yogurt and served in portion-controlled sized mini mason jars. Strawberry Margarita Pie – This delicious no-bake Strawberry Margarita Pie is a cool summer dessert that won’t heat up your kitchen. 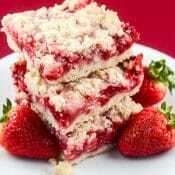 If you like these Strawberry Crumb Bars, be sure to try these other dessert bar recipes. Blueberry Crumb Bars, which were the inspiration for the Strawberry Crumb Bars. Lemon Crumb Bars make perfect crumb bars for Spring and Summer! Chocolate Chip Caramel Crumb Bars – Chocolate Chip Caramel Crumb Bars are buttery, chocolate-y, caramel-y, crumbly cookie bars made with chocolate chips and caramel bits with a buttery crumb crust that melts in your mouth. Sopapilla Cheesecake Bars! Inspired by the Mexican dessert called sopapillas, these Sopapilla Cheesecake Bars have a sweet, creamy cheesecake filling tucked between 2 crescent roll pastry sheets, and are topped with butter, cinnamon, and sugar and drizzled with honey. 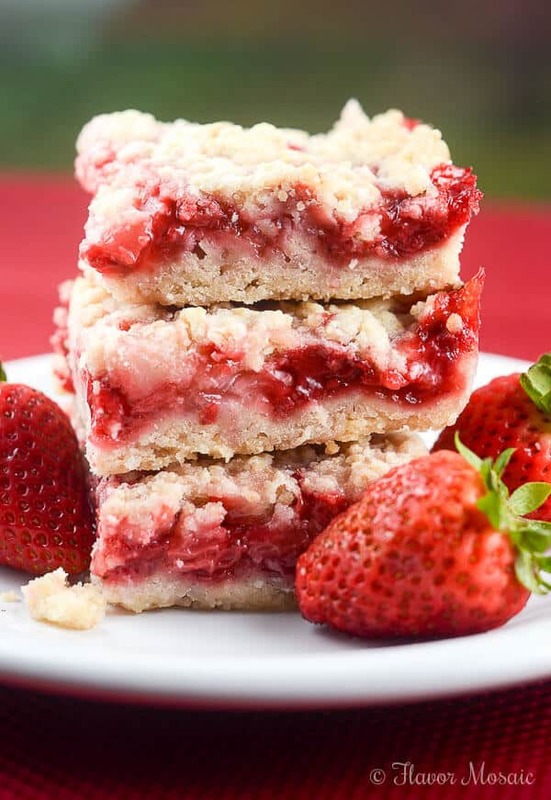 These easy Strawberry Crumb Bars, with a buttery crust, sweet fresh strawberry filling, and crunchy butter crumb topping make wonderful dessert bars to take to a summer party, picnic, or potluck. In a medium bowl, stir together 1/2 cup white sugar, flour, baking powder and salt. In a separate measuring cup or small bowl, beat an egg with a fork. Add the egg and vanilla to the flour mixture. Using a fork or a pastry cutter, cut the butter into the flour mixture. (VERY IMPORTANT: Make sure the butter is very cold.) Work with the dough until the pieces are very small. Dough will be crumbly. Pat half of the dough evenly into the bottom of the prepared pan. In another bowl, stir together 1/3 cup sugar and cornstarch. Stir in the strawberries. Spoon the strawberry mixture evenly over the bottom crust. Crumble the remaining dough over the strawberry filling layer. Cool completely before cutting into squares. I recommend refrigerating until ready to serve. It is very important that your butter be very cold. Also, when working with the crumb crust, be careful not to over work it because you don't want your hands to warm up the crust. You want the crust to be very cold. The sweetness of the strawberries used matters. If your strawberries are not very sweet, you may need to increase the amount of sugar used in step 7 to about 1/2 a cup. You can easily double the ingredients to make a 9x13 pan of the Strawberry Crumb Bars. Just change the number of servings above and it will adjust the amounts of the ingredients. The original post was published July 5, 2015, and updated April 3, 2019. I’m making these for tonight and would like to know if I should make them early and put them in the fridge or if they are meant to be eaten warm. Hi Jamie, in the instructions,it says to cool completely before cutting because otherwise, it may be difficult to cut them into squares. However, you could eat them warm. It just might be a little messy. You can also refrigerate them until you are ready to serve them. 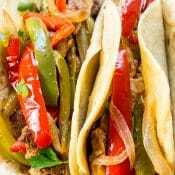 I would recommend making them on the day you serve them, and either eat them shortly after they cool, or refrigerate them until you are ready to serve. Do you think a 9 x 9 pan could be substituted? If so, how would you suggest tweaking the receipt to make it work? Hi Alexis, you could use the same amount of ingredients and just have the bars be thinner and check the bars after baking 30 minutes. Option 2 is to increase all ingredients by 25% but you will likely have to bake it longer than 45 minutes. Thank you, Michele. I think I’ll cut the cook time to be on the safe side. Hopefully they won’t be too thin!! I have been tasked with making deserts fro a friends wedding. The event is 9 hours away so I will be baking and freezing. These bars look delicious, but have you ever tried freezing them? I have never tried freezing them. Hi there! I made these today for the first time, and I must say that it is one of the best strawberry based recipes I have ever tested. Thank you! My family thanks you as well lol. That strawberry looks delicious – great photo! can this recipe be doubled and put into a 9X13? These were great. I have only a 9×9 so I made 1.5x of the crumble. I also added a thiblsyer of homemade jam and a glaze on top. Delicious!! These strawberry bars are the best I’ve ever made or eaten! 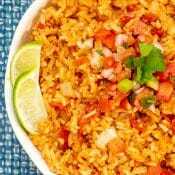 Thank you so much for such a delicious recipe! If you’re reading comments trying to decide if you should make them- MAKE THEM NOW! Trust me you will not be disappointed! These bars look absolutely delicious! I would appreciate knowing if anyone has made them using gluten-free flour or a gluten-free flour blend? Also, what flour or blend was used and if any other changes were needed. Do these need to be kept in the refrigerator? 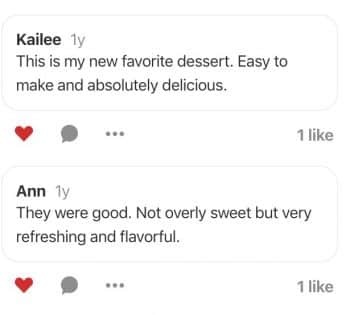 Hi Amy, I would recommend that these be kept in the refrigerator. So I’m trying this for the first time today. But my crust isn’t crumbly…. so let’s see how it turns out! Currently 18 minuets left in the oven! Hi Alicia, If it is already in the oven, then it might not be crumbly. One key is to make sure the butter is very cold, and another is to not overwork the dough. Anyway, let me know how they turn out. Can you use wheat flour? Hi Nancy, yes, you can use wheat flour. Can I use coconut oil instead of butter? Hi Liv, I have not tried coconut oil in this. The butter is what makes the crumb crust and topping crumbly. I don’t know if it would have the same texture with coconut oil. I would like to use frozen strawberries. Do you think I could? Yes, you can use frozen, drained berries. I am trying them now with Bob’s Red Mill 1:1 GF Baking Flour. I expect it to be great. Particularly since the flour isn’t going to affect a super finicky bread or cake crumb.and it doesn’t have an unexpected aftertaste. If it’s a disaster, I’ll post that. Otherwise, we’ll be enjoying one of summer’s most wonderful edible joys.